Designed for total compatibility with the entire tractor range, SAME front loaders are available as either Light Kit or Ready Kit versions and may be used with a huge variety of implements. Constructed from special fine grain steel, these lightweight front loaders combine superlative performance with outstanding reliability. 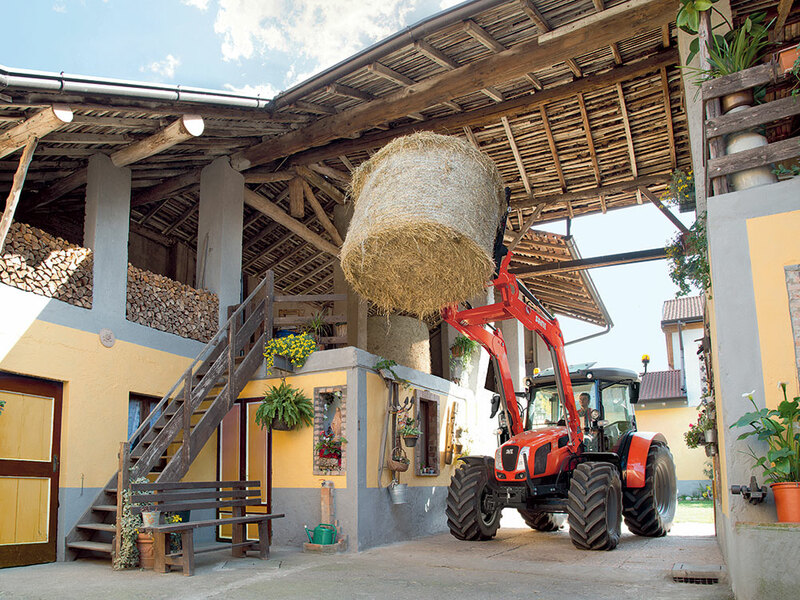 With a maximum lift height of over 4 metres, hydraulic or mechanical self-levelling functionality and three control systems for different applications and frequency of use, SAME front loaders offer the perfect answer to a wide variety of different needs. And with the Comfort Drive system which reduces pitching during transport, SAME front loaders also optimise comfort and safety. Due to the very nature of what they are used for, front loaders are subjected to very high mechanical stress and strain. This is why SAME front loaders are made from innovative materials, which also significantly reduce overall weight. The functional design of these components and advanced manufacturing technologies used are geared specifically for maximum durability. From the fine grain steel used for the forged arms to the assembly methods, and from the paint finish to the superior grade bearings used, the outstanding build quality of SAME front loaders ensures simplified maintenance throughout their extended lifespan. 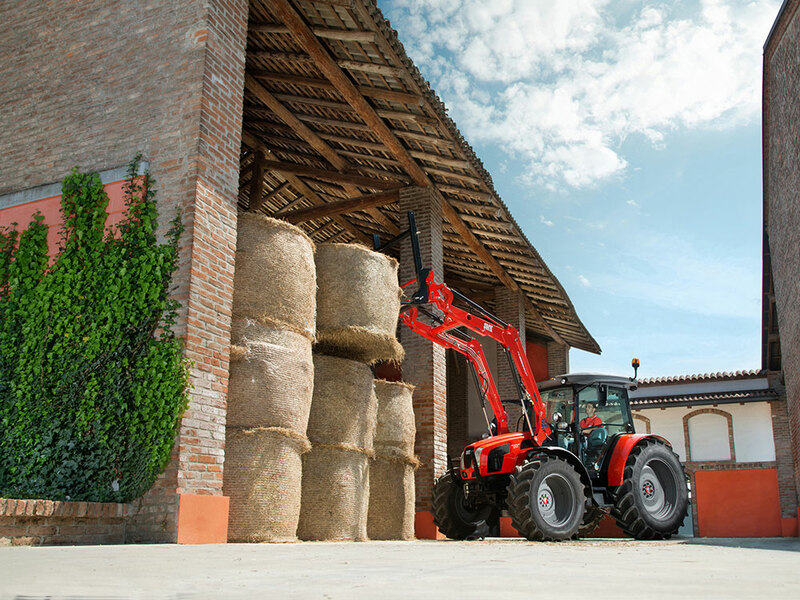 Excellent manoeuvrability and safety are crucial prerequisites for a front loader created to respond to the real needs of working in the field. There is, however, another vital characteristic: visibility. SAME front loaders are also designed to respond to this need. The flat arms and the hydraulic system laid out neatly along the profile of the lifter are solutions that ensure an unimpeded, clear view of the lateral and front zones of the work area. But that's not all: the hitching system is designed specifically for quick, safe operation: controllable automatically directly from the driver's seat, this system significantly simplifies changing implements.